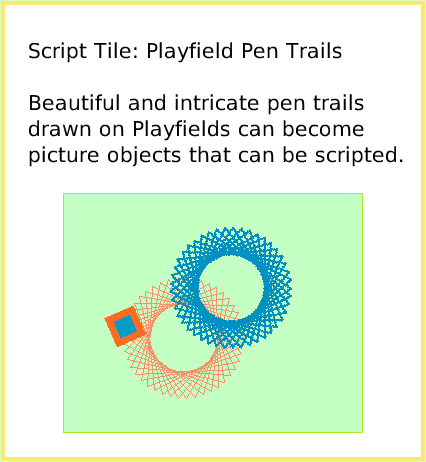 Text of this guide (for searching): Script Tile: Playfield Pen Trails Beautiful and intricate pen trails drawn on Playfields can become picture objects that can be scripted. Open Supplies. Click on an Ellipse and a Playfield. 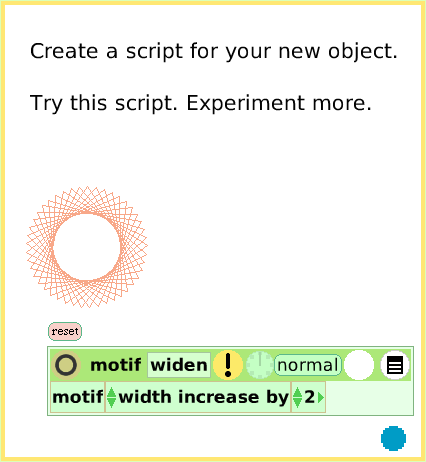 Write a script for the Ellipse. Use tiles from basic and pen use categories. Start the script to make a design. Experiment with other numbers. 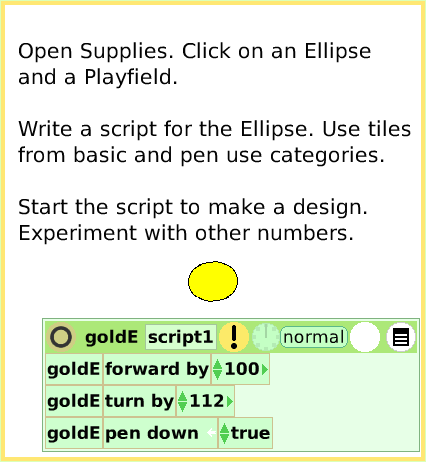 Put the Ellipse on your Playfield and start the script. 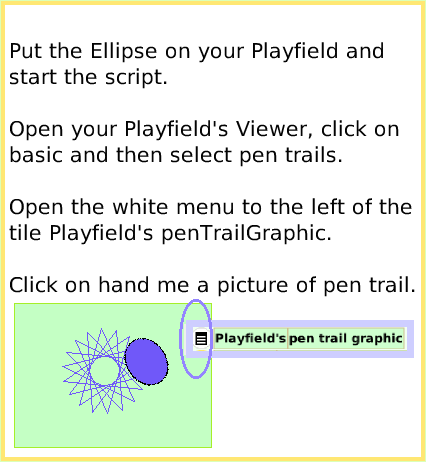 Open your Playfield's Viewer, click on basic and then select pen trails. Open the white menu to the left of the tile Playfield's penTrailGraphic. Click on hand me a picture of pen trail. Create a script for your new object. Try this script. Experiment more.